There are hundreds of different birds in South Africa. Some of them have appeared on our postage stamps. 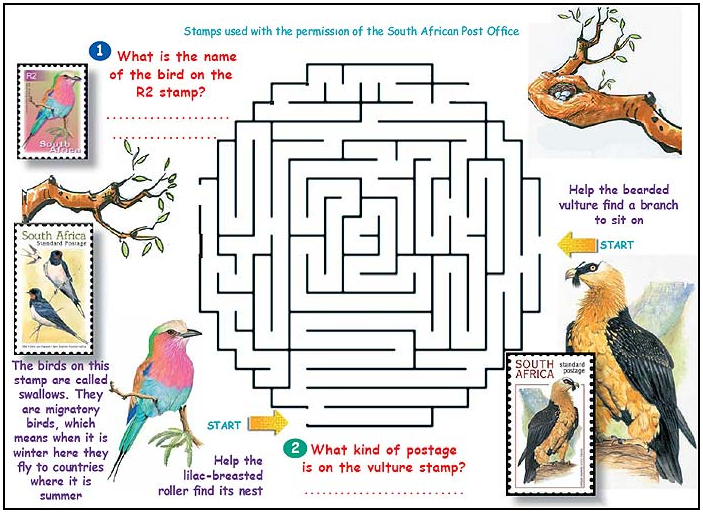 To answer the questions, study the stamps and the pictures for clues. Then see if you can find the right path in the maze that will lead the bird called a lilac-breasted roller to her nest and the bearded vulture to a branch to sit on. You are not allowed to cross any lines on your way.